Poor me. I spent the whole bank holiday weekend and most of the following week in my sickbed, not out carousing and having St. Patrick's Day fun like the rest of you. I had to spend my Cheltenham winnings on a visit to Caredoc so I was a right old misery guts going back to work last Friday. Until I spotted a box on my desk with a label that never fails to bring a smile to my face... Hotel Chocolat. 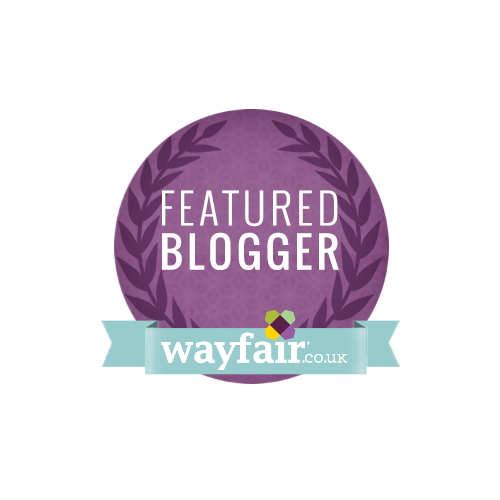 I love their stuff - it's fabulous quality, really quirky and always impresses. Last Easter, The Hubs got a lovely selection of goodies which I bought at their Belfast store (sadly the closest one to us) and I sampled their Advent Calendar in December. The brown box contained the Your Eggsellency egg - full of beautifully boozy truffles and two WAG-thick egg halves, one 40% milk, the other 70% dark. It is encased in a hatbox style container with a lovely black satin ribbon holding it all together. The box opens to reveal the egg halves with the truffles nestled in tissue paper, just waiting to be opened, inspected and sampled by me. Unfortunately for The Hubs, he wasn't here when I opened it, so I got first pick without any regard for him. A lot of alcohol-infused truffles are either really harsh with too much booze or sickly sweet - these were neither. The Mojito was so bang on with the rum and lime flavours, I was looking for the sprig of mint and the straw. There's also White Port Truffle, Champagne Truffle, Amaretto Amour, Bison Grass Vodka and Pink Champagne truffles. 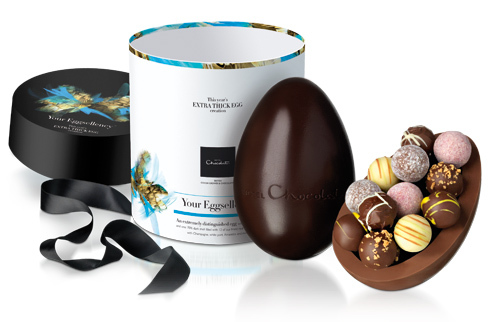 The Your Eggsellency egg retails for £26 and is available from all Hotel Chocolat stores or from their online shop.